The average human heart beats 60 to 100 times per minute. But for 1 in 200 people who suffer from atrial fibrillation (AFib), that count may be as high as 175 times in the same span. With AFib, the heart’s electrical system is “out of sync.” This leads to irregular or rapid heartbeats, which can feel like a racing heart or palpitations, or sometimes more serious symptoms. AFib also can be associated with a risk of stroke. 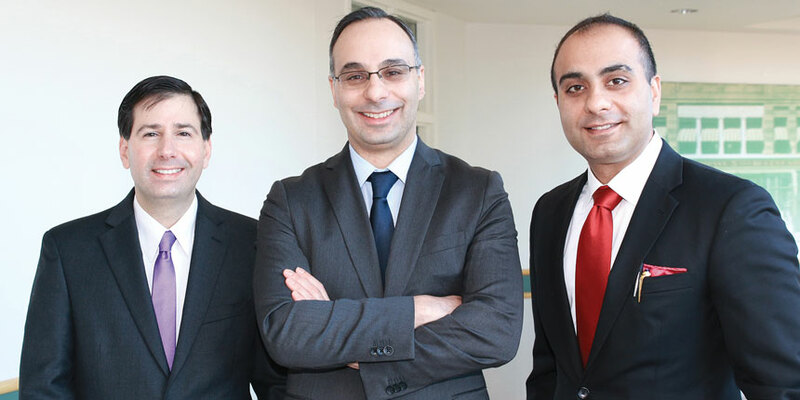 Led by advanced electrophysiology physicians Ramin Davoudi, MD; Nitesh Sood, MD; Arnoldas Giedrimas, MD; and Michael Hyder, MD, all of whom are board certified in clinical cardiac electrophysiology, Southcoast is providing new hope for AFib patients in the region. Ramin Davoudi, MD from Southcoast Health on Vimeo. Dr. Davoudi, Medical Director of Southcoast Arrhythmia Services, has established the Atrial Fibrillation Wellness Program, which offers preventive care, maintenance and cutting-edge wellness programs, as well as advanced treatment and ablation procedures. One hallmark of Southcoast’s electrophysiology program is that prevention is taken as seriously as treatment. Under Dr. Sood’s medical direction, the Wellness Program helps patients manage AFib symptoms and stroke risk, sleep apnea, exercise, nutrition and quality of life measures, and it provides yoga, meditation and more. As a result, fewer patients are being hospitalized. Southcoast electrophysiologists perform the latest minimally invasive cardiac ablation procedures, such as cryoablation and convergent hybrid ablation. These treatments involve using a catheter to reach the heart and destroy abnormal tissue that is causing AFib. 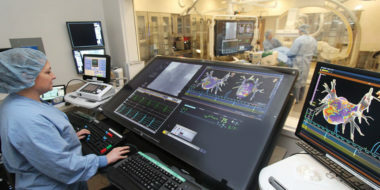 In addition, Southcoast is among the first hospitals in New England to offer the WATCHMAN device. This permanent implant can reduce stroke risk and eliminate the need for blood thinners. Southcoast’s electrophysiology program has seen patient volume increase each year, and services are expanding. In February, the Harold and Virginia Lash Heart and Vascular Center will add a new electrophysiology lab, which will incorporate new technology to greatly reduce radiation exposure during procedures. Learn more about Southcoast’s Atrial Fibrillation Wellness and Stroke Prevention Program.